On the basis of Kress and van Leeuwen’s Visual Grammar based on Halliday’s Systemic Functional Linguistics, this study explores the interactive meaning in three public service advertisement multimodal discourses, adding evidence to the assumption that Systemic Functional Linguistics can be applied to the multimodal discourse analysis of public service advertisement in a feasible and operational manner. Kress, G. and van Leeuwen, T. Reading Images: The grammar of visual design[M]. London: Routledge. 1996. Kress, G. and van Leeuwen, T. Multimodal Discourse: The modes and media of contemporary communication[M]. London: Arnold. 2001. Lemke, J. Multiplying meaning: visual and verbal semiotics in scientific text[A]. In Martin, J. & Veal, R. (eds. ), Reading Science: Critical and Functional Perspectives on Discourses of Science[C]. London: Routledge, 1998: 87-113. Royce, T. Synergy on page: exploring inter-semiotic complementarity in page-based multimodal text[A]. In JASFL Occasional Papers (No.1) [C]. Tokyo: Japan Association of Systemic Functional Linguistics. 1998. O 'Halloran, K. Independence, interaction and metaphor in multimodal texts[J]. Social semiotics. 1999, 9(3): 317-354. Baldry, A. Phase and transition type and instance: patterns in media texts as seen through a multimodal concordance[A]. In O’Halloran, K. (ed. ), Multimodal Discourse Analysis: Systemic-Functional Perspectives[C]. London: Continuum. 2004:83-108. Li Zhanzi. Social Semiotic Analysis of Multimodal Discourse[J]. Foreign Languages Research, 2003,5:1-8. Hu Zhuanglin. Multi-patterning in the study of social semiotics[J]. Language Teaching and Research, 2007,1:1-10. Zhu Yongsheng. Theoretical Basis and Research Methods of Multimodal Discourse Analysis[J]. Foreign Languages Journal, 2007, 5:82-86. Eggins, S. An introduction to systemic functional linguistics[M]. London: Continuum. 2004.
van Leeuwen, T. Speech, Music, Sound[M]. New York: St Martin’s Press. 1999. Martinec, R. Cohesion in action[J]. Semiotic, 1998:120(1/2), 161-180. Halliday, M. An introduction to functional grammar[M]. London: Edward Arnold. 1994. Cui Yan. Multimodal Discourse Analysis of Interactive Meaning of Flat Public Service Advertisements[D]. Master Thesis of Shandong University. 2010. Xin Zhiying. New Development of Discourse Analysis and Multimodal Discourse Analysis[J]. Journal of Social Sciences, 2008,5:208-211. O'Toole, M. The language of displayed art[M]. London: Leicester UP. 1994. Li Miaoqing. Analysis of Multimodal Discourse Analysis of Adapted Films - Take "Raise the Red Lantern" as an Example [J]. Film Literature, 2007,8:98-100. Gu Yuguo. Analysis of Multimedia and Multimodal Learning [J]. Technology Enhanced Foreign Language Education, 2007, 2:3-12. Zhang Delu. 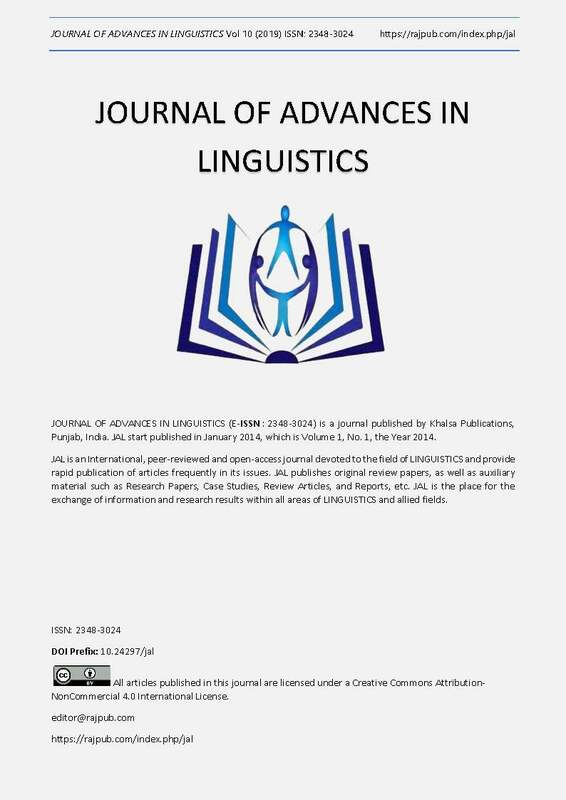 Exploring the Comprehensive Theoretical Framework of Multimodal Discourse Analysis[J]. Foreign Languages in China, 2009,1:24-30. Ye Qichang. Social Semiotic Analysis of Hypertext Multilingualism[J]. Foreign Language Teaching and Research, 2006,6:437-442. Wang Hongyang. Interpretation of Multimodal Function in Cummings's Poetry[J]. Foreign Language Teaching, 2007,5:22-25. Wang Hongyang. Research on the Interactive Meaning of Multimodal Advertising Discourse[J]. Journal of Sichuan International Studies University, 2007,6:31-34. Zheng Haicui, Zhang Maizeng. Multimodal Discourse Construction of Harmony Concept [J]. Foreign Languages Journal, 2008,2:107-112. Hu Zhuanglin, Dong Jia. Multimodal Construction of Meaning-Discourse Analysis of One-on-One Demonstration Competition[J]. Technology Enhanced Foreign Language Education, 2006, 3:3-12. Ding Jianxin. Research on the Social Semiotics of Modality in Visual Grammatical Fairy Tale Illustrations[J]. Journal of Sun Yat-sen University, 2007, 5:39-42. Li Songqing. Social Semiotics and Advertising Discourse Analysis[J]. Journal of Anhui University of Science and Technology, 2005,2:56-61. Leech, G. English in advertising[M]. London: Longman. 1966. Cook, G. The discourse of advertising[M]. London: Routledge. 1992. Huang Guowen. Theory and Practice of Discourse Analysis - A Study of Advertising Discourse[M]. Shanghai: Shanghai Foreign Language Education Press. 2001.